Whiskey is a way of life to Leonard Firestone, the co-founder (along with Troy Robertson) of the popular Firestone & Robertson Distilling Company, which is responsible for TX whiskey. After graduating from the University of Colorado, where he received his B.A. in Political Science, Firestone worked underneath President George W. Bush as an advance man, followed by a position with the PGA Tour in Florida before returning to communications in Washington, D.C.In 2000, Firestone and his brothers co–founded a cable television network and satellite uplink facility, which brought him to Fort Worth, TX. Firestone immediately fell in love with the city and its people, and it was while building his business that he also fell in love with the idea of being a craft distiller. 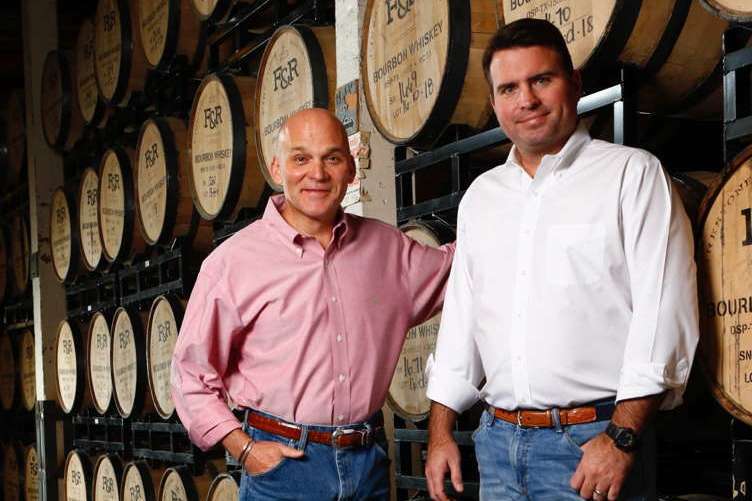 The brothers ultimately sold their communications company in 2007, and Firestone chose to pursue his true passion of launching a craft distillery in the Dallas–Fort Worth area. 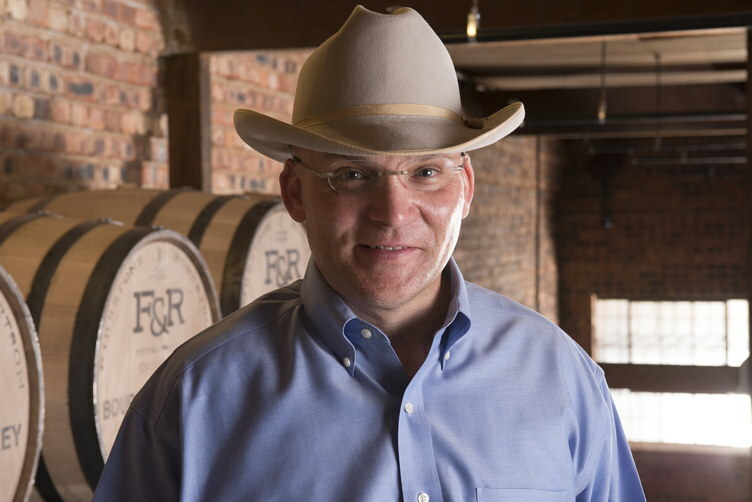 While performing due diligence on the burgeoning craft distilling industry nationwide, Firestone learned that a friend, Troy Robertson, had a very similar vision for aFort Worth whiskey distillery. The two decided to become partners in 2010, and the Firestone & Robertson Distilling Company was born. They began to produce the artisanal TX, a blended whiskey, in 2012, which was awarded both “Double Gold” and “Best American Craft Whiskey” honors at the 2013 San Francisco World Spirits Competition. The anticipated, first–ever NorthTexas bourbon, TX Straight Bourbon, was released December2016. 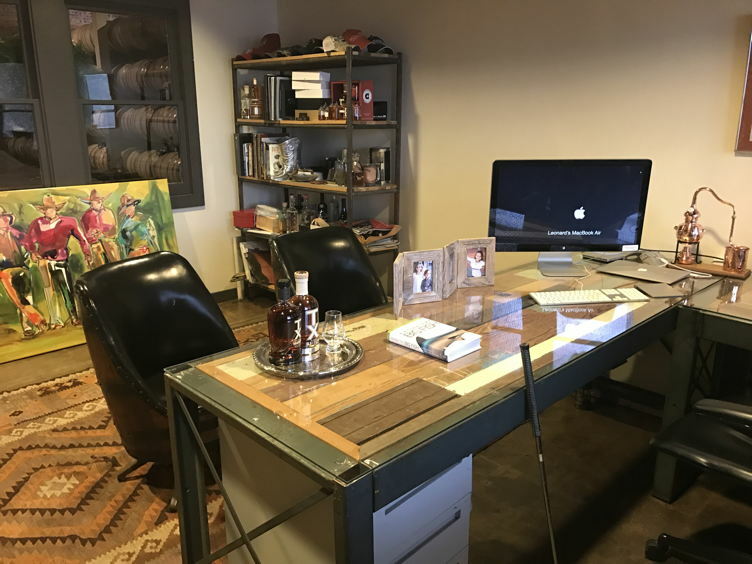 Here, this Texas-based whiskey distiller shares a peek at his desktop essentials. Family photographs – I live in Fort Worth with my family and four children (3 boys and 1 girl). The family photo is a reminder of what matters most – I’m a big family man and am very involved in the community. Whiskey – I always have bottles of the company spirits (the award-winning TX Blended Whiskey and now also the newly released TX Straight Bourbon) ready for sampling when I have visitors in the office. I love sharing my passion for whiskey with others. Golf club – A beloved pastime, I am constantly walking around with my golf club and often practice my swing or putting in the office (I always ensure nothing gets broken)! Plans for the new distillery –Firestone & Robertson Distilling Co. is rapidly expanding, with plans to open an expansive, stunning new distillery in Fort Worth in 2017. I’m excited for the future of the brand, and am committed to its growth. Shots of Knowledge: The Science of Whiskey – This beautiful coffee table book is an in depth guide into the entire world of whiskey – from its complex creation, to its chemistry and history. The book is co-authored by Rob Arnold, Head Distiller at Firestone & Robertson Distilling Co. and is a testament to the company’s commitment to fostering the next generation of talent and ushering in a new era of whiskey making.